Today we invite the Dota community to embark upon The New Journey Update, now available to everyone in the Dota 2 client. This release marks the debut of the new hero Monkey King, who is joined by a custom Arcana item and an all-new themed terrain to celebrate his arrival. Also introducing new Hero Talent Trees which allow you to augment your hero’s capabilities with powerful new innate Talent choices, a redesigned in-game interface, extensive map changes, and more, this update launches Dota into the next stage of its constant evolution. 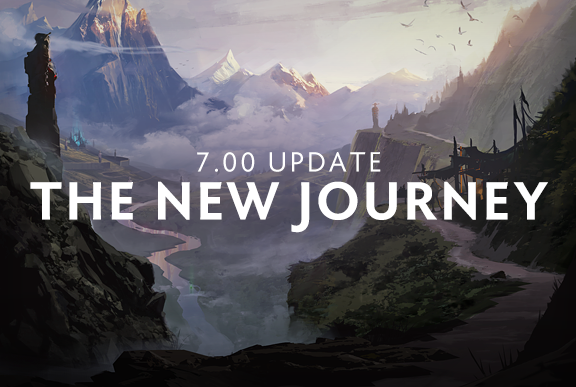 Visit the 7.00 Update page for details on all of the changes The New Journey has in store. Once you get your bearings, prepare to join your fellow adventurers out in the lanes. The battle for the Ancients may have changed, but a hero’s call to glory never fades.